In terms of bio5 farming they're like dorams with a 5 min. cooldown boost to their damage, why so salty? I'm pretty sure a doram with that party can outdamage the ranger without unlimit thanks to double picky proc alone, throw the ranger's down time of 5 minutes in the mix and at the end i'm not sure if ranger would have the superior dps. Emmm right now i'd say ranger is the most attractive for soloing instances. Now that's not trapped on arrow storm anymore you can be more versatile with the gears and the build, since sharp shooting is all you need now. Sharp shooter/utility trapper sounds like the better combination, since sharp shooting is so good you don't need any other damage skills anymore it would be wise to spend on utility traps to be more versatile. Royal guards have a lot of variety too inside the same build, shield chain and boomerang are good for farming individual mobs, overbrand and canon spear are good for huge numbers, and banishing point is good for instances. They have a lot of survivality and they consume less pots thanks to their Hp recovery skill. The same goes for rune knight, don't know that much about them, but i think an spiral pierce build with two handed sword and parry would have good dps and survivality for solo instances, you can add ignition break for aoe coverage. I personally don't like oboro/kagerou because of their lack of mobility and boring meta, but hey if you like it the petal build is fairly cheap and does decent aoe numbers, especially now that we have holy converters. PM me here with the offer, thanks. Sure, if you get one +7 count me in. "making me one", you only need 75m or you need the unrefined ribbon too? I pay 65m 75m, pm me here, I also buy +6 for 50m. Well yeah, you could use manananggal cards in a 3 slotted book and switch it to leech, the only thing is if the monsters you're killing at the moment are too weak you won't regain that much sp with that card. What i said basically is, whenever you're not planning to use pots, keep your leeching gear and if you're gonna use pots go full damage setup without leeching. Solving the sp leech without incubus is key, because the highest damage upgrade will come from WK cards, and without hunter flies you'll need to use succubus instead of incubus. That's always situational though, it depends on what you wanna do, just adjust the gear to every place, if you're overkilling mobs by a lot use hunter flies instead of WK, keep the +7 bible with hunter flies and put the WKs on the +1X. Or maybe you don't need HP leech at all but you need SP leech, then use WK cards so the incubus leeches more sp. Adjust according to the place. And yeah, PER with aspd and atk + buffalo combo is ideal, but if you're gonna rely on vanberk for crits i'd put another one in the monocle too. You can even try temporal luk boots sacrificing dex, with your crit setup would do more damage, but it would be situational, str boots are all-around. You already said it all, the only thing is, i would change at least one hunter fly for a WK and keep the rideword hat, at least outside mvps. I suppose you use incubus (? ), you can always use a GSS with grudge of royal knight card, change the incubus for a succubus and put 2x WK on the bible. 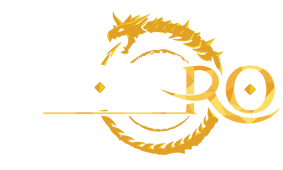 You aren't talking about Nova aren't you? I tested tiger cannon with +15 crimson knuckles in small and medium dummies right now and there's still damage difference by a good chunk. Seeing how ME is now more "interesting" what would you guys recommend between holy stick +7 / exorcism bible, and crimson rod +12 / mad bunny? Hi, i'm kinda new to sura and i'm confused about the real magnitude of hunter fly cards on combo builds. Should i put WK + HF on my +15c.weapon or WK + WK and switch to thanatos, what's the norm? If i switch to thanatos i think it would be mostly for sp leeching, but i need a constant HP leeching too, and that would mean being trapped with thanatos if i want to do something without spamming pots. This is a solo character, so no parties / external buffs, and maybe ocasional farming if i end up really liking the class, dunno yet. Thanks. Jesus , kagerou was meant to be played on bg and group pvp the same way the support ninjas were played back then in pre-renewal. Kagerous are annoyers and support-oriented, they can expose and trap people at the same time in an area, steal the link from enemy shadow chasers, use empty shadow on RGs and vital jobs like ABs to hinder their work and illusion bewitch to break enemy formations. Back then support ninjas were sneaky and tanky, fast cast and high HP pool, inmune to ranged/melee physical attacks, they didn't have to worry about damage and they were used to disrupt the enemy team with sword/mail breaker paired with shadow slash spam from different angles. I saw some setting up watery evasion lvl10 behind the enemy team, and now kagerou can even get strategic kills with rapid throw. Like i said, the first time i saw the kagerou new skills i knew they were group-pvp oriented, and they're obviously support skills. Oboro is better at dpsing, kagerou is better at annoying the f*ck out of the enemy team as a support, the end.